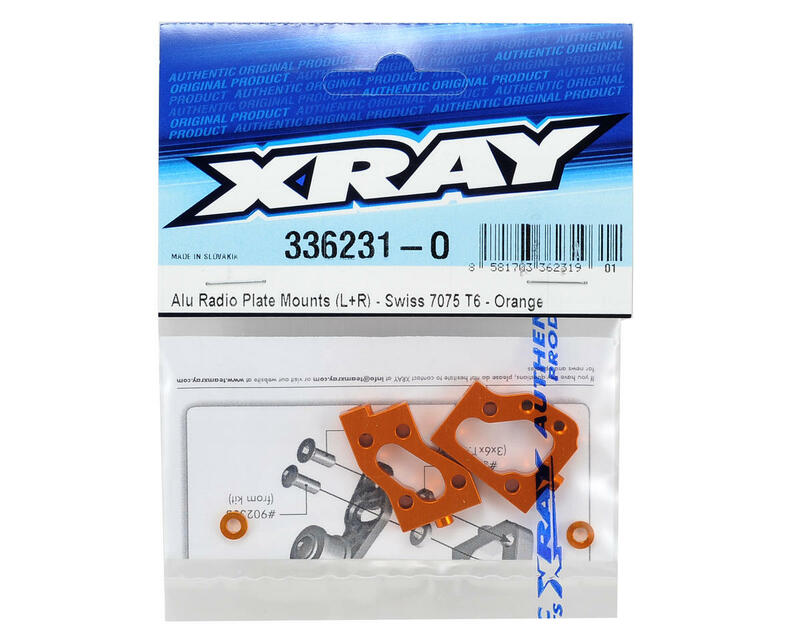 This is an optional XRAY Orange Aluminum Radio Plate Mount Set. 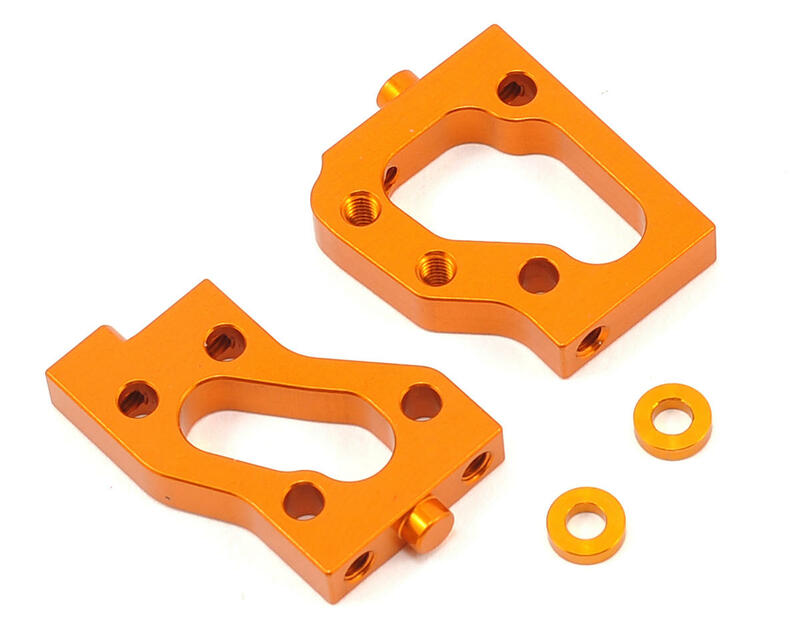 These CNC-machined mounts are made from premium Swiss 7075-T6 aluminum and include the left and right side. The aluminum radio plate mounts allow for more solid radio plate mounting while reducing the chance of stripped threads. Aluminum stands allow a smaller throttle servo to be mounted under the radio plate, and the center belt can be more precisely tensioned; the left aluminum stand allows tighter belt tension adjustment. The ultra-strong construction provides very long life and durability in even the most extreme racing conditions.